Welcome to the world of Mon Platin – where beautiful skin and hair is a way of life. Whether it’s developing a beauty care line to help skin reach its full radiant potential. Or creating products that transform hair into what is truly a crowning glory – Mon Platin can answer the most demanding criteria. Our in-house resources, years of experience and innovative vision are at the service of every customer. Visit our website and see for yourself why Mon Platin is in high demand by consumers, hair stylists, and beauticians around the world. The DSM product line created by Mon Platin scientists, is formulated for all those who value nature’s role in comprehensive skin care. Formulated with the Dead Sea’s unique mud and minerals, DSM products invite you to experience in the privacy of your own home, preparations that combine this great gift of nature, with sophisticated technology and today’s most advanced cosmetic science. Mon Platin – your natural choice. The pace of life in the 21st century is very quick. A lot of information swarms us and becomes common knowledge within seconds. Technologies advance in a rapid pace, people get online updates about all the new things, and very quickly, many products become irrelevant. We at Mon Platin understand people’s need to take care of themselves with products that are based on the world’s most advanced, up-to-date technologies. 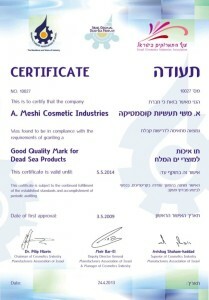 Therefore, every Mon Platin product, be it skin care, hair care, teeth care or baby products, is developed in special laboratories with the goal of finding the special synergy that would be able to integrate the natural ingredients of plants, Dead Sea minerals, Black Caviar, silk protein and more, all this to give a real, quality solution to this need. On every product of the Mon Platin products you can find the rubbit symbol, because we oppose animal experiments. Nature strives for balance, and so do we. Our line of thinking focuses on giving an effective but delicate solution to people’s care problems, so as not to hurt the body’s natural balance.